Earlier this month, the New England Conference of United Methodist, a group of 600 churches spanning six states, approved a resolution calling for an end to the nation's War on Drugs. They believe the love of Christ constrains us to do so. In part the resolution reads, "In the love of Christ, who came to save those who are lost and vulnerable, we urge the creation of a genuinely new system for the care and restoration of victims, offenders, criminal justice officials, and the community as a whole. Restorative justice grows out of biblical authority, which emphasizes a right relationship with God, self and community. When such relationships are violated or broken through crime, opportunities are created to make things right." According to the Christian Post, Law Enforcement Against Prohibition (LEAP), a non-profit organization apparently based in Medford, Massachusetts, worked along-side the Methodists Conference to get the resolution passed. The problem with the full resolution, however, is that it contains half-truths mixed with some of the same old myths about drug legalization, which most certainly have nothing to do with the love of Christ. To pose the question of whether we are winning the war on drugs is like asking if the church is winning the war on sin. The answer is clear, we can anticipate the problems of sin always being with us, but we don't suspend God's commandments. To do so would only lift the stigma and shame of sin, proliferate its practice, as well as exacerbate its negative consequences. Law is the role of government in promoting the good, while suppressing and judging evil. Government; says the Scriptures, "is the minister of God to thee for good...an avenger to execute wrath upon him that doeth evil" (Rom. 13:4). 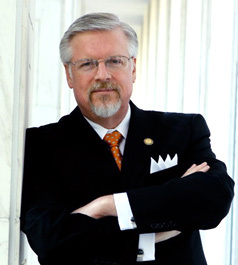 The government has a God-given calling to keep the public safe from harm, and that includes banning and enforcing laws against dangerous substances. Let's turn the tables for a moment, if ending the War on Drugs, will actually lessen the incidences of death, disease, crime and addiction, as the Conference's resolution espouses, why didn't the same result occur when the Prohibition of alcohol was ended? 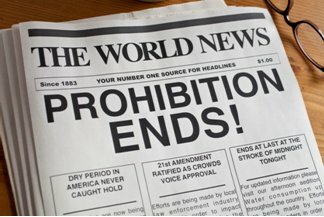 Recognizing again that making something illegal never eradicates its presence, if, therefore, the actual objective of Prohibition was to restrain and reduce alcohol's use and its negative consequences (and it was), then despite conventional wisdom it succeeded. The point here is not to advocate for the return of Prohibition. Unfortunately, America is quite willing to pay the price for this luxury that costs us immensely in innumerable and incalculable social problems. But no one with any intellectual honesty would conclude we are better off since repealing the Prohibition of alcohol. Instead, matters are worse, even with the taxing of alcohol, the regulations and controls, and preventive programs. To think it would be any different if we ended the War on Drugs is the height of naivety. In fact, ending the fight against drugs and legitimizing them by law will only compound our problems on top of the serious drug and alcohol-related issues we already have. When churches surrender to what's revolting in the name of love, especially the love of Christ, then we're all subject to end-up in hell. Poor John Wesley, the founder of Methodism, must be rolling over in his grave. "Don't Legalize Drugs by Theodore Dalrymple, City Journal Spring 1997. "Don't Legalize Drugs by Theodore Dalrymple, City Journal Spring 1997. N.p., n.d. Web. 17 July 2015. Moore, Mark H. "Actually, Prohibition Was a Success." The New York Times. The New York Times, 15 Oct. 1989. Web. 17 July 2015.